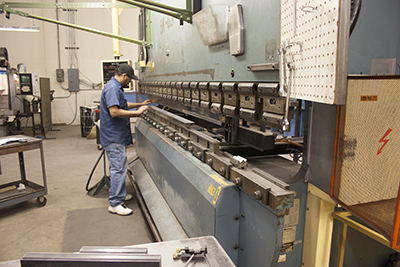 With over three decades fabricating a wide variety of industrial products, Laser Technologies operates an expansive manufacturing facility that includes in-house press brake forming, metal tube bending, and form rolling capabilities. Whether you require individual piece parts or fully assembled finished products, Laser Technologies can tailor a solution to meet your manufacturing needs. Maximum Workpiece Width up to 13 ft. 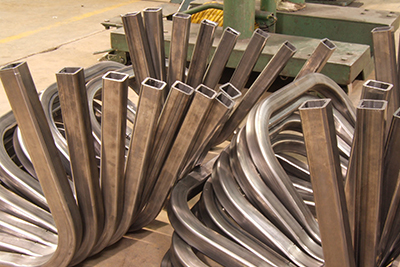 Mild Steel (Round Tube) Max. Capacity 2 3/8 " x .156"
Stainless Steel (Round Tube) Max. Capacity 2 3/8 " x .125"
Aluminum (Round Tube) Max. Capacity 2 1/2 " x .156"
Mild Steel (Solid Round) Max. 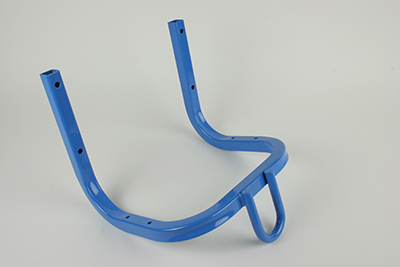 Capacity 1 1/4 "
Mild Steel (Square Tube) Max. Capacity 2" x 2" x .125"
Mild Steel (Solid Square) Max. Capacity 1- 3/16" x 1- 3/16"